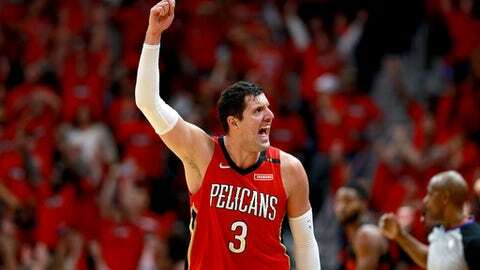 According to ESPN's Zach Lowe and Adrian Wojnarowski, the Bucks have traded Jason Smith, Stanley Johnson, and multiple second-round picks from the Detroit Pistons to the New Orleans Pelicans for forward Nikola Mirotic. Mirotic gives the Bucks another floor spacing big. Nikola Mirotic went to the Bucks for a playoff run, and four second-round picks ended up in the laps of Dell Demps and the Pelicans. He averaged 7.5 points and 3.6 rebounds while shooting just 38 percent from the field in 48 games this season.